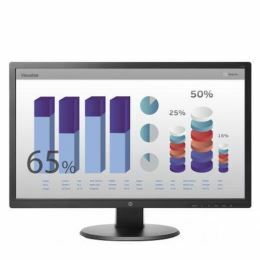 Enjoy crisp, clear views of your documents with 1920 x 1080 resolution, 5M:1 dynamic contrast ratio, and 5 ms response time. Quickly and easily connect to your devices with DVI and VGA inputs. Mount your HP Desktop Mini 260 directly behind the display for an integrated, affordable workspace that's perfect for small spaces. Or, use the integrated VESA mount to place the display on a wall or stand.